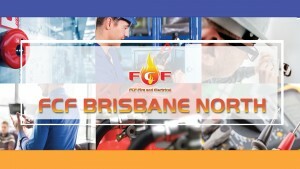 We are certified experts who provide cost-effective fire protection in Sunshine Coast. We specialise in providing fire protection equipment and perform the necessary installations as well as maintenance. Backed by years of experience, we hold the qualifications to deliver the best fire services in Sunshine Coast. We conduct emergency evacuation exercises, draw up fire safety management plans, and train fire wardens in evacuation processes and fire equipment use. Every fire protection equipment should be 100% working in emergency situations. We conduct a comprehensive test before and after fire safety equipment installed. Workplace fire compliant requires fire warden training and fire evacuation diagrams. We'll help you get you through all the processes including the legal ones. We ensure that fire wardens are fully-trained and evacuation diagrams are installed in every workplace vicinity. Let us make your business safe from electrical fire. We provide portable electrical tagging and testing to ensure that every powered commercial equipment is not faulty due to frequent use in a commercial environment. A malfunctioning emergency exit light creates a safety risk for building occupants. We install, test, service, and replace emergency exit lights to ensure you are fully fire-compliant.